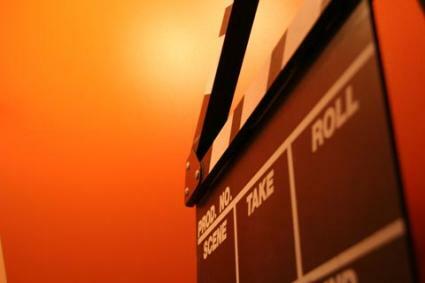 When we think of movies, we really consider overseas film production. We just typically assume that the United States is the frontrunner in production. After all, it's got Hollywood-that glittering genesis of cinema magic that draws actors, writers and producers from around the world like a proverbial moth to a flame. It may, therefore, surprise you to learn which country not only turns out over twice as many features per year as Tinseltown but continues to grow at a staggering rate. Since 1971, India has held the world's record in oversears film production. Since 1913, in fact, it has financed and distributed nearly 35,000 feature movies-more than any other country on the planet. What accounts for this prolific output? In a nutshell, the people of India can't get enough of movies as the cheapest form of entertainment that is available to them. We're not talking low-budget flicks, either. Productions along the order of a vintage Busby Berkeley musical with enormous casts, sets and lavish costume changes are not uncommon-a scenario that fuels the need for more screenwriters than ever. Before you pack your bags and head for "Bollywood"; however, there is one pesky detail you need to be aware of; the themes need to have social and cultural relevance to an Indian audience. See Bollywood and Planet Bollywood to learn more. In 1894, the birth of the film industry officially took place in New York at the Holland Brothers Kinetoscope Parlor. Only twelve years later, the Australians put this new fangled technology to profitable use by producing the world's first feature length story. Based on the true adventures of an outlaw named Ned Kelly, The Story of the Kelly Gang was shot for under ₤500 (a princely sum for that era) and utilized lots of outdoor action scenes, which were later reproduced as souvenir postcards. The hour-long film was so well received by the public that by World War I, Australia was the only country that was turning out new movies on a regular basis. Ironically, its current funding levels for aspiring filmmakers are low, prompting many of the filmmakers to turn to U.S. and British markets for co-production opportunities. It's worthy of mention, of course, that Australia's neighbor, New Zealand, enjoyed a huge upsurge in tourism on the heels of Peter Jackson's Lord of the Rings trilogy. Visit Australia Film Commission for a closer look at overseas film production Down Under. Go channel surfing on any given evening and you're likely to encounter the Japanese equivalent of American soap operas and sitcoms. Both have a high following both in the U.S. and in Japan, especially those which reflect battles of the sexes…and battles with the respective in-laws. Japan was on the overseas film production bandwagon as early as February 1897, using their own variation on the Kinetoscope to capture scurrying geishas and street peddlers going about their day in the Ginza, Tokyo's business district. Six years later, Tokyo opened its first theater, confident that movie-making was something that was going to catch on. This was followed two years later by the opening of the first Japanese film studio. So proficient were they at introducing improvements and longer works that they held the record for world film production between 1922-32, 1936-38, 1940 and again from 1954-1970. The foreign films discussion and DVD offerings at Multi-Lingual Books will enhance your knowledge of the history of Japanese film production and the popularity of current releases. On an average, the people of Iceland go to the local cinema five times a year, a statistic that has changed very little since it opened its first movie house in 1906. Even though the population of the country as a whole is only around 300,000, it was enough for the locals to decide in the 1970's that they needed some recognition for their own national film production company. They got it. Not only that but they also have a national library with several hundred films pertaining to the Icelandic landscape, history and people. If you go to Internet Movie Database and type in "Iceland" under the left-hand search for plots, you'll find quite a few listings. Director Vittorio De Sica is credited as the only filmmaker who ever did overseas film production in the Vatican. Shot in black and white and spoken in Italian, La Porta del Cielo (The Gate of Heaven) drew criticism from Vatican officials, who felt that De Sica's interpretation of divine miracles wasn't exactly consistent with their own. An introduction to De Sica's film style can be found at Strictly Film School. It was a Frenchman named Raoul Gromoin-Sanson who invented the concept of a multi-screen projectionist system just three years short of the turn of the century. Unlike Thomas Edison's early arcade-style Kinetoscope that was designed for individual viewing, both Gromoin-Sanson and his fellow inventors Louis and Auguste Lumiere recognized the profit potential of developing a machine that could throw images on a wall where multiple parties could watch it at the same time. Since these early projectors were deemed to be much too complicated for the ordinary person to understand, the first models were produced and sold by the film company itself. By the dawn of the 1900's, the Lumiere brothers had already recorded more than 2,000 short flicks, heralding the need for a French studio to emerge and declare its genius in overseas film production to the world. The success of Pathé proved so fruitful that they soon crossed the ocean and established another studio in New York. Comedies-the sillier, the more popular-became a mainstay of the French cinema scene, an amusing harbinger to the glee with which the French people would later embrace the slapstick antics of Jerry Lewis. What's playing in French on your TV?